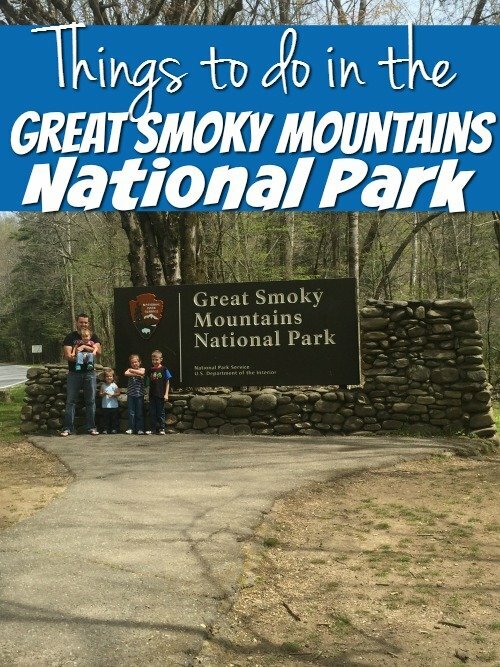 Our recent visit to The Great Smoky Mountains National Park showed us there is a lot more to this park than just the ‘smoky’ mountain peaks you see and a few tourist themed towns! You can plan a whole vacation just around this National Park. This National Park is free to enter and enjoy but of course, there are a bunch of extras. You can stay at a campground in the park or do one of the many extra activities like horseback riding and guided hikes. Just to give you an idea of the size of the park here is a map. The gray area is all the National Park. There are 2 main visitor centers that also have museums about the park. These are the Sugarlands Visitor Center in Gatlinburg, Tennessee and the Oconaluftee Visitor Center and Farm Museum in Cherokee, North Carolina. They also have smaller visitor centers in Cades Cove and Clingmans Dome. Now on to the activities! This is a free 11-mile driving tour. The book you see in the bottom middle picture is a $1 donation and gives all info on the driving tour and a map. 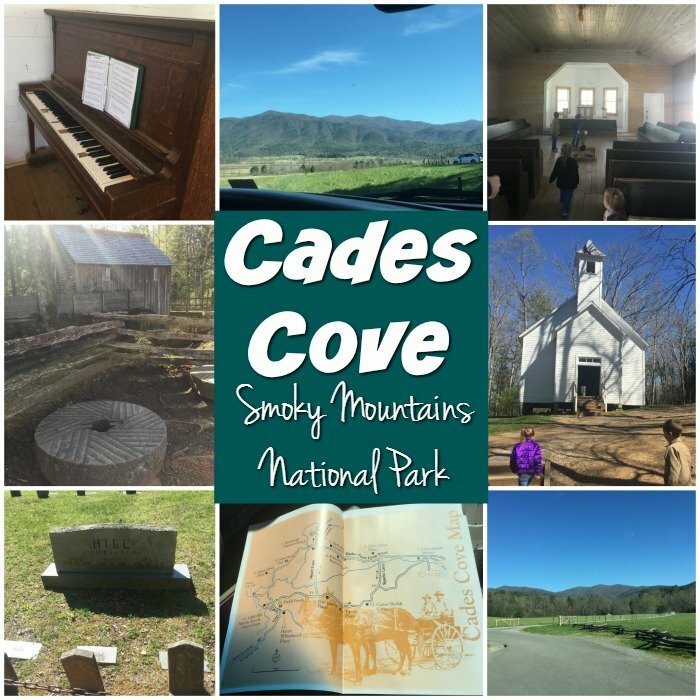 Cades cover is an open air museum of homes, churches, and buildings that were built on this land before the land became part of a national park. On our tour, we saw wild deer and turkey, but bear sightings have also been seen. This 11-mile loop is one way, so if you have a slow car in front of you, it can take longer than other times. On Wednesday and Saturday, only foot traffic and bicycle traffic is allowed on the road until 10 am. Get more info on Cades Cove. Clingman’s Dome is the highest point in the National Park. It is at the top of the highest mountain peak. The elevation here is 6,643 feet. 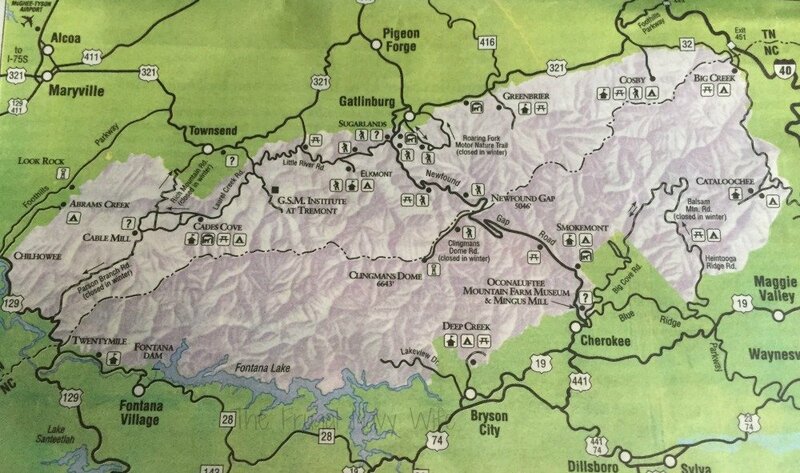 From there you can see 7 states, Gatlinburg, Pigeon Forge, Cherokee and more! They have a hiking book for a $1 donation it explains what you see at different parts of the hike the different lakes and mountains. The hike is a half a mile straight uphill. It’s the equivalent of going up 13 flights of steps. There are benches to rest at on the way up and boy did I use them! I wasn’t as in shape as I thought I was! Don’t forget a jacket! While it was 80 degrees down in Pigeon Forge, it was only 53 at Clingmans Dome. 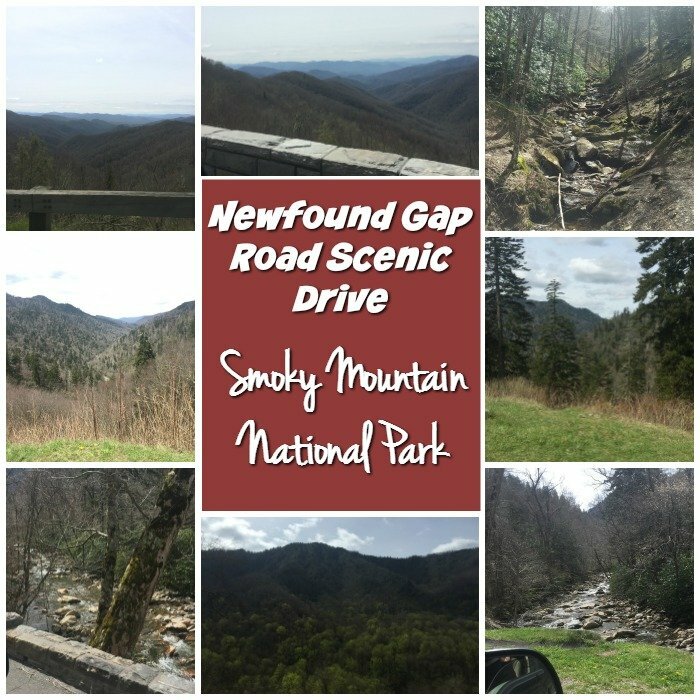 The drive is about an hour from Gatlinburg, and the drive is just beautiful with many scenic pull-offs. 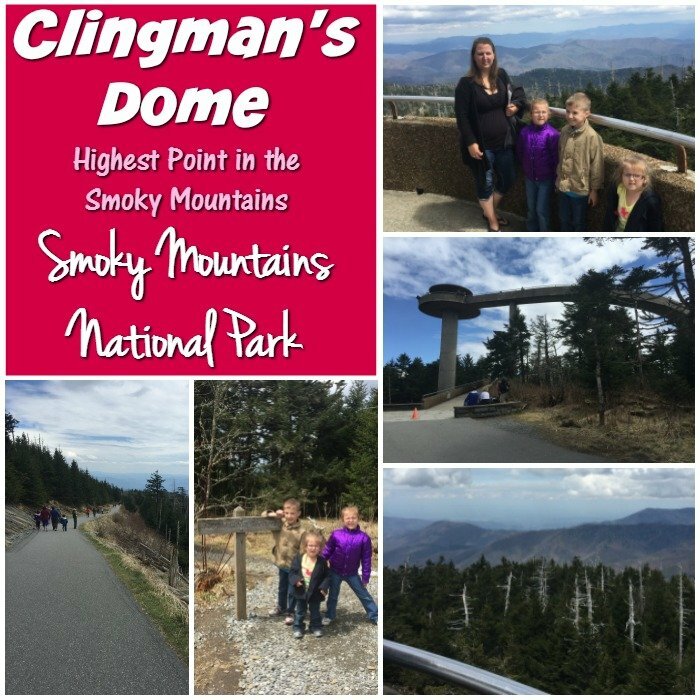 Read more about Clingmans Dome. This is one of the most beautiful drives I have even seen. Newfound Gap Road (US 441) is the 31-mile road Gatlinburg to Cherokee North Carolina. There are several tunnels and more scenic pull-offs then I can count. This is also the road we saw all the animals sightings on below. Read more about the Newfound Gap Road Scenic Drive. Animal sightings are very popular in the park. While you can’t plan them make sure you keep an eye out for them. On Newfound Gap Road above we saw the herd of Elk grazing in the picture above and also a black bear playing around. We also saw deer and turkeys on our trip. Foxes and other animals have been observed in the area too! There are so many ranger programs. Our favorite is the Junior Ranger program fort he kids. They complete the activity books and earn a badge. Most Junior Ranger program is free, but here the book cost $2.50, and it’s well worth it! 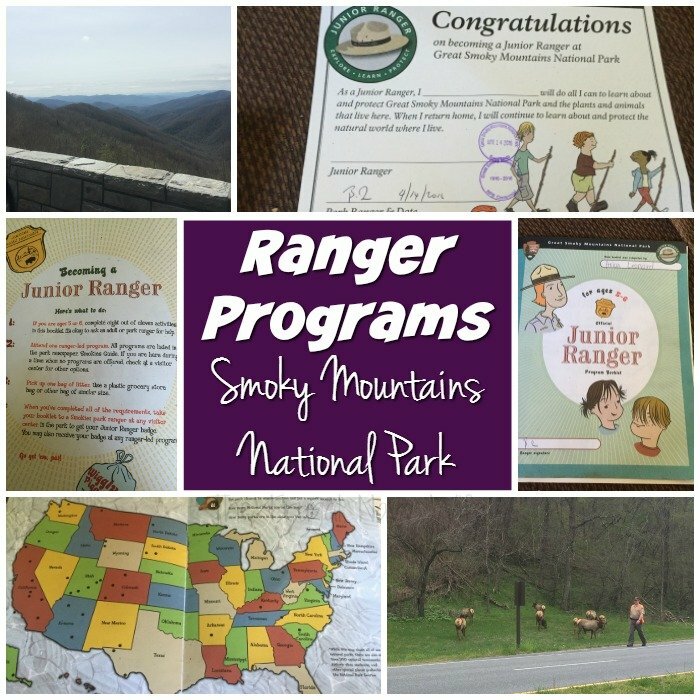 Read more on the Junior Ranger Program. They have many other Ranger-led programs from guided hikes to Hayrides, and coffee with a ranger. Check the calendar during your visit to see what is available. There are 4 main visitor centers for the park. The Cades Cove Visitor Center is on the 11-mile loop and is part of an old farm setting you can tour as well. 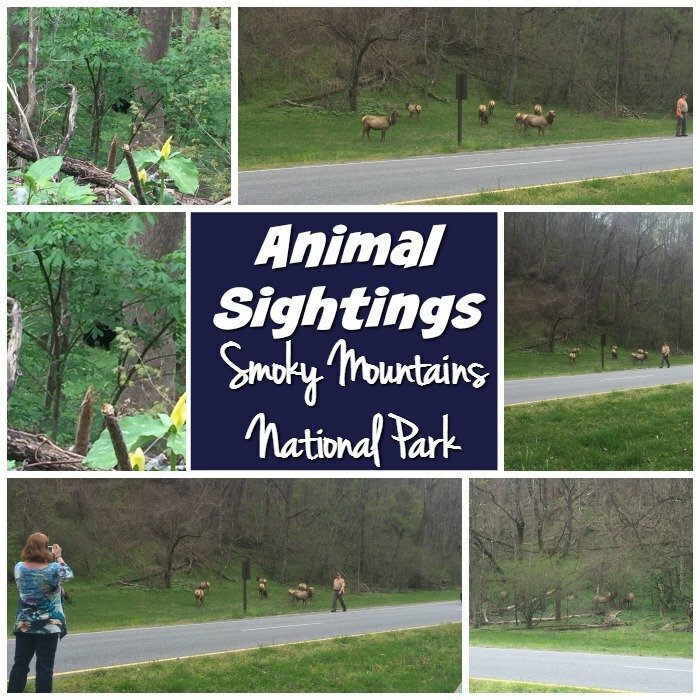 The Sugarlands Visitors Center is just outside Gatlinburg, Tennessee and had a museum filled with all the animals you could see in the park. This is a great place to start so you know what to keep an eye out for. There is also a Visitors Center at Clingmans Dome. This one is small, and they have information about the mountain and also shirts that say you climbed Clingmans Dome so you can show off you accomplishment. 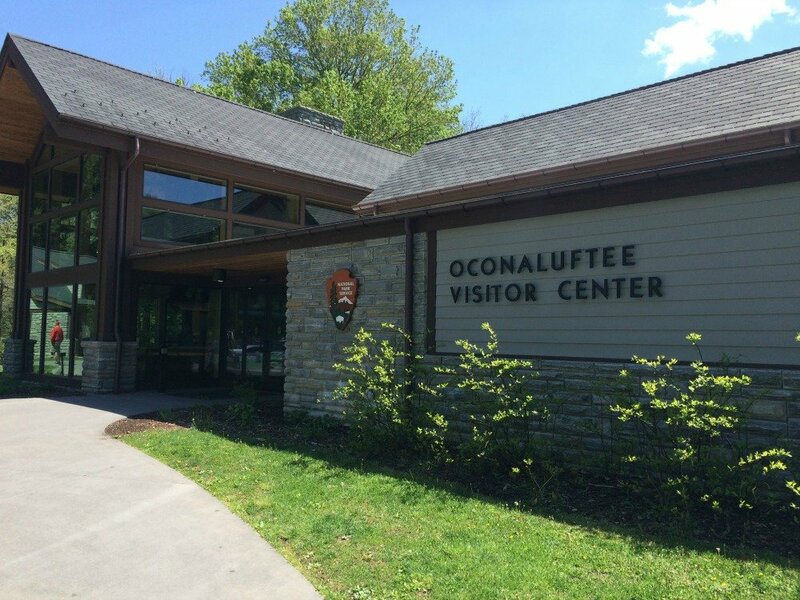 The 4th on is the Oconaluftee Visitor Center located in Cherokee, North Carolina. This visitor center includes a mountain farm exhibit and many old log structures from around the park. Best of all the museums attached to the visitor center are free! Watch the synchronous fireflies show. Take a ride at the Sugarlands Riding Stables and enjoy the Smokies from horseback. Head to Bryson City, North Carolina and enjoy a scenic ride on the Great Smoky Mountains Railroad. You can also visit one of the many historical buildings.